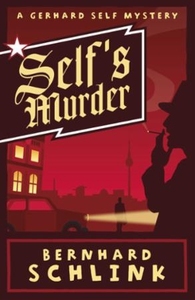 The author of THE READER returns with another thrilling case for sleuth Gerhard Self. PI Gerhard Self is lured out of retirement by a seemingly straightforward assignment: to find the former sleeping partner at Welker & Welker, a prestigious private bank. But the case soon throws up many more questions than answers, and Self finds himself embroiled in a shady world of money-laundering, mafia and murder... What secrets is the bank's history hiding? Why are the institution's enigmatic masters - Herr Welker and his steely Russian foster brother - trying to ensnare Self in their dangerous game, and just who is the stranger claiming to be Self's long-lost son?